On June 6th 1944, four young men joined thousands of other American soldiers, and prepared to make the largest naval landing the world would ever know. Waiting for them would be an immense German army and an oppressed French people, yearning to be freed. It would be more than 50 years before these four veterans would return to the shores of Normandy. The cost of war can only be truly understood when heard from the people who survived it. World War II Veteran George Ciampa knows this all too well, and is striving to teach today’s generation the huge price of freedom. Ciampa has brought together four veterans, two history teachers, a high school student and a young journalist to journey back to the beaches of Normandy, France. Witness shocking interviews from the people who lived under brutal Nazi occupation. 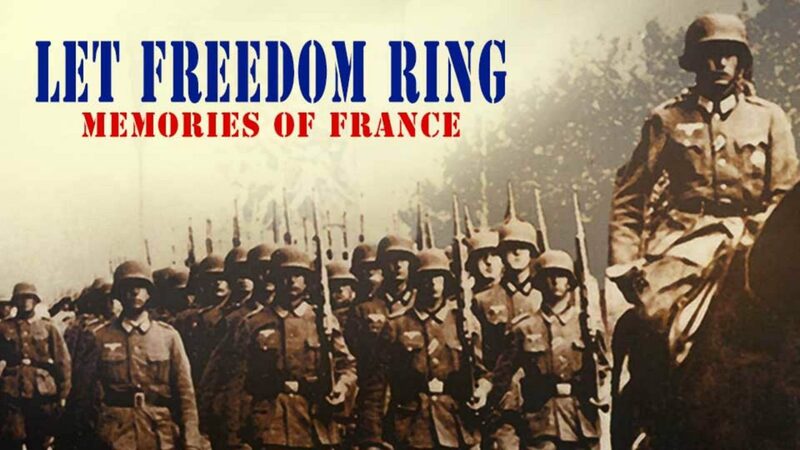 Hear from French resistance fighters who risked life and family to fight for what was theirs. Go inside the walls of the only Nazi concentration camp on French soil. Discover the heart-felt feelings of a French generation saved by Allied troops. The history of World War II has been told many different times. In Memories of France we experience an intimate portrayal of the War and its effects on the people of France, and the American soldiers that fought there. Their memories of the War give us a rare glimpse into what it costs to let freedom ring for all.